Yutaka Tamura, a graduate of Amherst College, participates in the Building Excellent Schools (BES) Fellows Program to prepare an application to launch a new charter school in Massachusetts. Mr. Tamura’s charter school application is approved by the Massachusetts Department of Elementary and Secondary Education (DESE). Excel Academy Charter School opens in the Orient Heights neighborhood of East Boston, Massachusetts. 60 students enrolled in the first 6th grade class. Just a few years later, Excel Academy would prove that young people from East Boston and Chelsea could, in fact, perform at the highest levels on the state’s MCAS exams. First 8th grade students graduate from Excel Academy Charter School. To support its graduates, the Graduate Services Department is created to support students throughout their high school and post-secondary experiences. Today, there are five full-time employees who counsel and support our graduates through high school and their postsecondary lives, including through 2- and 4-year colleges. Excel Academy Charter School honored with National Charter School of the Year award. Excel’s students ranked #1 of all Massachusetts public middle school students on the state’s MCAS exams for the first time. Since 2008, Excel Academy East Boston has ranked number one overall five times, significantly out-performing wealthier public schools across the Commonwealth. This consistent success and performance has proven that the achievement gap can be closed. Students ranked #1 of all Massachusetts public middle school students in every middle school grade level on the MCAS exams. Following Massachusetts legislation to provide new charter school seats to “proven providers” like Excel, Excel Academy Chelsea opens in Chelsea, Massachusetts, providing an additional high-quality public school option for families in this community. Excel officially becomes a network of schools and is now referred to as Excel Academy Charter Schools. Excel Academy opens its third middle school campus, Excel Academy Orient Heights, further extending Excel’s reach into its primary host community of East Boston, Massachusetts. Excel Academy East Boston moves its campus to 58 Moore Street in East Boston. Excel Academy Orient Heights opens up in Excel’s original location in a strip mall in the Orient Heights neighborhood of East Boston. Plans for Excel Academy Charter High School are formally approved by the Massachusetts Department of Elementary and Secondary Education (DESE). A multi-year fundraising campaign, Building for the Future: The Campaign for Excel Academy, launches to raise the funds to build a new high school building in East Boston and support the growth and scale of our organization. Owen Stearns, a founding Excel Academy Board member, becomes Excel’s CEO. For the 7th consecutive year, 8th grade students at Excel Academy East Boston perform in the top 5 of all public middle schools on the MCAS exams, including the second year in a row where 100% of 8th graders achieved Advanced or Proficient on the English exam. To prepare for the opening of a high school, Excel’s individual school charters are officially consolidated into one charter with four individual campuses: three middle schools and one high school. All students, upon entering Excel, will be guaranteed a seat at Excel for as long as they choose, all the way up to 12th grade. Construction begins on a new 55,000-square foot facility at 401 Bremen Street in East Boston to permanently house Excel Academy Charter High School. Excel Academy Charter High School launches with its founding 9th grade class in a temporary facility in South Boston, MA. The school will move to its new facility in 2016. With the opening of our high school, all students are guaranteed a top-quality college-preparatory public school education through 12th grade. For the first time, all three of Excel’s middle school campuses are fully enrolled, educating 672 students in grades 5-8. Excel Academy Charter High School’s new building will open on Bremen Street in East Boston, Massachusetts, in summer 2016. The brand-new 55,000-square foot building, designed by Studio G Architects, will be next to a recently built Boston Public Library building and the Bremen Street Greenway in the Day Square neighborhood of East Boston. Excel Academy was founded with a clear vision. The vision was to create a public school that would close the educational opportunity gap afflicting the mostly poor, immigrant families living in East Boston and Chelsea, Massachusetts. At that time, the quality of public schooling options available to these young people was much lower than the schools available to their wealthier peers in and outside of Boston. The mission of Excel Academy is to prepare students for high school and college, apply their learning to solve relevant problems, and engage productively in their communities. After 9 years of operating a small single-site public charter middle school in East Boston, Excel was chosen as a “proven provider” based on historic performance and was granted two additional charters by the Commonwealth of Massachusetts to add new schools. In 2011, Excel’s second school opened in Chelsea, Massachusetts. In 2012, our third middle school, in the Orient Heights neighborhood of East Boston, opened. The year 2015 brought the opening of Excel Academy Charter High School, Excel’s first high school. The school is spending its first year in a temporary facility in South Boston. Starting with the 2016-2017 academic year, Excel Academy Charter High School will operate in a brand-new, 55,000-square foot building on Bremen Street in East Boston, right up the road from our other two East Boston campuses and next to a new Boston Public Library. Excel is a proud member of the Building Excellent Schools Network, a select group of the highest performing BES schools. 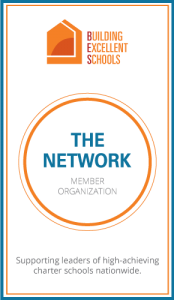 The Network challenges and supports high capacity leaders to examine and improve the quality growth of their organizations.